The resilience of aerial and space platforms are not the first issue that oomes to mind when cybersecurity is generally discussed. Yet, they increasingly constitute the backbone of our societies, both in the civilian and military worlds. We will address two categories of aerospace platforms: unmanned or otherwise increasingly autonomous vehicles, and geosynchronous objects, such as satellites. If satellites are not significant components within our mass-communications infrastructure, they are crucial when it comes to meteorology, GPS navigation, high-resolution mapping or outer space surveillance. Satellites are also important for military-specific purposes such as the dissemination of encrypted command and control or espionage. They are, as a consequence, high-value targets through the eyes of cyber-attackers. If a vulnerability was to be discovered on a geosynchronous object, it is both technically difficult and expensive to fix or upgrade the hardware. In other words, they are rarely future-proof, especially when it comes to cybersecurity. Thus, the resilience of satellite systems during cyber-attacks is highly dependent on their security by design. This explains why the old GPS satellite constellation of the United States is much less secure than its recent European counterpart Galileo. Fixing the satellite’s software is significantly easier, since it can potentially be achieved through remote firmware and software updates. However, enabling such a feature raises the challenge of controlling remote access to the core of the system. Contrary to civilian technologies, one could think that military assets are designed first with security in mind. Yet, cases of either military drones or their supporting infrastructures being hacked are numerous. For both remotely piloted and autonomous vehicles or missiles, the risks related to cyber threats can be classified as disruption of the system’s availability, compromised confidentiality of sensitive data, and attack on the physical integrity of the system. Basically, attacks can take on different forms depending on the purpose in which they seek to achieve. Those on availability will attempt to jam or otherwise disrupt communications or control of the vehicle. Attackers seeking to breach the confidentiality of the system will look for vulnerabilities that would allow them to steal or manipulate the data exchanged or stored on the platform. Attacks on the physical integrity of the vehicle usually involve hijacking attempts, which involves actually taking control of its navigation commands. This could be for the purpose of using it as a weapon, or stealing the vehicle for retro-engineering, as it was done by the Iranians when they allegedly jammed the navigation system of a United States RQ-170 drone on December 4th, 2011. Finally, the internal system of drones can also be targeted with the aim of using the vehicle as a proxy to gain access to its supporting communication ecosystem. Once the attackers gain access, they can continue their attack by using a remote malware injection to further disrupt or compromise ground command and control stations. Perhaps this was what happened at the Creech Air Force Base in Nevada in 2011, when their ground command and control computers were infected by a persistent key-logger which may have compromised classified information. Mirroring the diversity and ingenuity of the threats faced, security answers will increasingly be a mix of hardware and software solutions, designed from their inception to work together. Among them, three stand out: ground-breaking encryption technology, new C4-ISR (Communication, Command, Control, Computer for Intelligence, Surveillance and Reconnaissance) platforms, and artificial intelligence. Firstly, we are witnessing the rise of new game-changing technologies in the field of encryption and secure communications. One of them, the quantum satellite, is becoming a reality after decades of research. In a few words, it consists of two special onboard lasers that share the quantum property of entanglement, which makes the satellite and the communication flow it handles eavesdrop-proof. The first of its kind, Micius, was launched by China in August 2016. Another example is block-chain technology, which brings the promise of unspoofable virtual signatures and identities, among many other things. Second, new C4-ISR vehicles are currently in development, namely pseudolites. They are aerial or space platforms with a limited lifeespan ranging from a few days up to five years, and they are aimed at complementing drones and satellites in tasks such as intelligence gathering and dissemination. 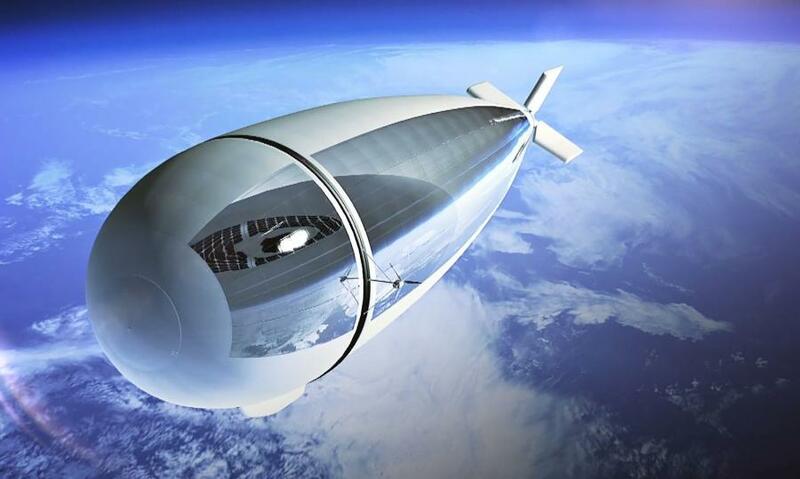 They can take the forms of large high-altitude solar drones or space zeppelins and are referred as Very High Altitude Long Endurance (VHALE) vehicles. The rise of their development, especially in the US (VULTURE programme) and the EU (Thales’ Stratobus), reflects the need among the armed forces to obtain more persistent yet versatile ISR platforms. Their advantage lies not only in terms of pure technological or tactical superiority. Cybersecurity wise, they can be easily and rapidly fixed or upgraded with new hardware. Third, the progress of artificial intelligence and deeplearning techniques continues to empower traditional cybersecurity solutions. The cyber-aware sentinel is a combined software-hardware solution deployed both onboard the vehicle and the ground station dedicated to the detection of and protection against cyber-attacks. It is able, amongst other things, to analyse the consistency and integrity of data and navigation orders and to detect unusual or illogical behaviours. Regardless of the platform or operational sector, cybersecurity is as much a matter of policy and organisational management than it is a technical issue. 2LT(R) Arthur Laudrain graduated from the University of Montreal, CA, with a BSc in international studies in 2015, after attending the Graduate School of International Studies (GSIS) at Seoul National University, ROK, in 2014. In 2014, he volunteered with the United Nations. He is currently at the end of his curriculum as an MA candidate in International Peace and Security at the Department of War Studies, King’s College London in UK. Which includes manely UAVs, but also munition-based platforms such as ballistic missiles. Valerie C. Coffey (2014), « Sea Change: The Challenges Facing Submarine Optical Communications », Optics & Photonics News, p.31. David Livingstone and Patricia Lewis (2016), “Space, the Final Frontier for Cybersecurity ?”, Chatham House Research paper. UK HM Governement (2014), “National Space Security Policy”, UKSA/13/1292, p.2. Unless it came from a simple USB stick, which would be a bit embarassing to admit for USAF. See Brian Prince (2011), “Mysterious Keylogger Infects U.S. UAV Fleet”. Security Week. Robert Young (2016), « China’s quantum satellite could make data breaches a thing of the past ». Phys.org. Unclassified briefing by an analyst of the NVAD, the Netherlands’ security services, at Rotterdam, in August 2016. Barry M. Horowitz and D. Scott Lucero (2016), « System-Aware Cyber Security: A Systems Engineering Approach for Enhancing Cyber Security », Insight Journal, Vol. 19, Iss. 2. p.39-42.